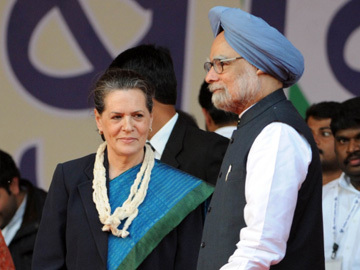 Aizawl: Prime Minister Manmohan Singh, UPA chairperson Sonia Gandhi and Congress vice-president Rahul Gandhi will campaign for the party in Mizoram ahead of the state Assembly election, scheduled for November 25. All India Congress Committee (AICC) general secretary Luizinho Faleiro told reporters that Sonia would come on November 18 and visit south Mizoram's Lunglei town, while Rahul would visit the state on November 21 and addresses rallies in Mizoram-Myanmar border Champhai town and Mizoram-Assam border Kolasib town. The detailed programme of the Prime Minister was yet to be finalised, Faleiro said. When asked whether the three leaders would address rallies chaired by the local forums of the Mizoram People's Forum (MPF), he said that they would have to be taken care of as per the norms of the Special Protection Group (SPG). In an agreement inked by the MPF, the church-sponsored election watchdog, all the political parties agreed that all rallies and meetings would be chaired by the MPF leaders. There was severe criticism against the Congress leaders, including Singh, Sonia and Rahul as they did not follow the norms of the MPF during the 2008 Assembly polls. A number of opposition Mizo National Front (MNF) leaders including Dr John V Hluna joined the Congress on Thursday. The group led by Hluna earlier belonged to the People's Conference, a breakaway faction of the Mizoram People's Conference (MPC) which merged with the MNF on November 8 last year. Top leader of the group and former deputy chief minister Lalhmingthanga and other senior leaders, however, did not attend the press conference convened by Hluna, where he told reporters that they did not like the alliance between MNF and MPC which was finalised on Tuesday last.